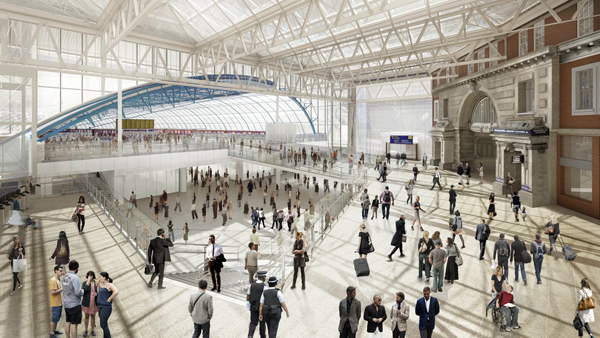 When these improvements are complete, more trains than ever will arrive and leave London Waterloo every hour during the busiest times of the day – providing more space and better journeys for hundreds of thousands of passengers every day. These works will pave the way for improvements to longer distance routes into London Waterloo and long term digital railway systems required to meet the increasing demand for rail services projected. “And let’s face it, this is not before time. Since 1996, the numbers of passengers on routes into Waterloo have more than doubled - rising from 108 million passenger journeys a year to over 230 million. And this increase is showing no sign of slowing down. "We are proud to run one of the country’s busiest railways - providing half a million journeys every day - helping to support businesses, communities, families and friends travel across the south west of England. "Since 1996 we have added more than 100 extra train services and 500 extra and vastly improved carriages for journeys to and from Britain’s busiest station, London Waterloo, but we know we need to do even more to provide more capacity and better facilities for our passengers. “That's why we're so pleased to be working with our partners to introduce this package of investments and improvements. This is the biggest programme of improvements for decades and will boost capacity by 30% during the busiest times of the day by 2019. It will also create the extra space and upgraded infrastructure needed to increase capacity for our longer distance mainline services in the near future too. "We're looking forward to introducing these improvements and we will keep our passengers up to speed with everything happening on the network in the coming months and years."